As a ski patroller, I see my share of injuries. And there is a simple common thread – not being prepared and/or not skiing smart. Here are a few tips to avoid injury on the slopes. 1. Work out before you even get to the mountain. Skiing and snowboarding is a great workout especially on your quads and hamstrings. There is also the cardio aspect – Making turn after turn on an expert run requires stamina. If you plan on hitting a big mountain (with its higher elevation), skiing will be even harder. So hit the gym year round. You’ll have a good fitness level as a base for your day on the slopes and adjust easier to mountain altitudes. 2. Take it easy before hitting the challenging runs. Warm up and get your ski legs back, focus on technique, movement and turns before you crank it up on more challenging stuff. Gain confidence with a little practice and hone your turning and stopping skills before moving to steeper runs. 3. Use common sense – Know your limits and the Code. The best protection against accidents is to know your limits and the Alpine Responsibility Code. It’s a blend of common sense and safety rules for skiing and snowboarding to follow when on the mountain. For example, always stay in control; people ahead of you have the right of way; do not stop where you obstruct a trail, or are not visible from above; before starting downhill or merging onto a trail, look uphill and yield to others. Follow these rules (AKA be smart) and you’ll have a better chance of not getting hurt. 4. Pay attention to lifts. Getting on and off a lift is prime for accidents. The chairlift is unforgiving. Newer chairs will pick you up slowly but you still have to line up properly. And getting off a chairlift can be a challenge for novice skiers and boarders who can fall and pile up in the unloading area. T-bars are a complete unknown to new or young skiers, so ask for help if you need it. Pay attention to what you are doing and what the chair is doing, and ask the lift operator or ski patrol if you need help. To pace myself for a full day on the slopes, I like to break the day into parts (as a Canadian Ski Patroller, I’m on shift all day on a Saturday or Sunday): 2 hours of skiing and then take a snack break. Back out again for another 2 hours then take a lunch break. After lunch, I’m back out again with a break at some point. Many incidents happen late in the day, the time when people are tired and are trying for “one more run.” Pace yourself and your last run will be as good as your first run. Practice makes perfect and lessons keep moving you towards perfecting and improving skills. Ski improvement clinics are a great refresher even for intermediate and experienced skiers. Lessons will sharpen up your skills on the little things, correct bad habits and reinforce the positive skills. Group clinics make learning and improving fun. 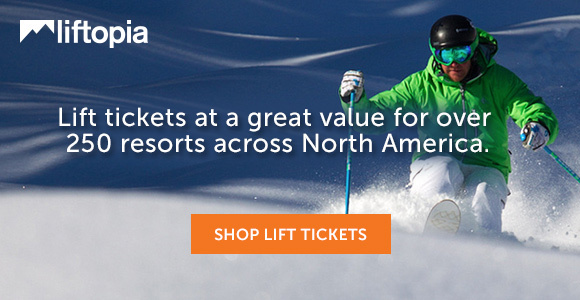 Good skiing and snowboarding starts in the ski shop: with quality equipment based on your skill level. Boots need to be comfortable and flex. Bindings should be set as low as possible short of coming out of your skis. (You will dramatically decrease your chances of a knee ligament or leg injury when you fall by having your skis release with ease). Tuned up skis make it easier to turn and glide down the hill. Don’t use your ski pole straps. (During a fall, you can quickly ditch your poles and avoid a hand or thumb injury). Helmets should be mandatory for the obvious protection they provide. Head protection can be beneficial in a collision. And while a helmet cannot prevent a concussion, it may reduce the severity of one. I would disagree on the no pole straps. You can’t use poles properly without them. Yes you shouldn’t wear them in the trees, but as long as you know the proper way to hold them (when you let go the pole should dangle freely) you are mostly protected from one of the most common ski hill injuries. If you are concerned you can always get the kind that the straps pop out with enough force. When I teach lessons if the student has poles the first thing I check and teach if necessary is how to hold them properly.